We’re are delighted to be able to announce the plans for our composers during the coming season. 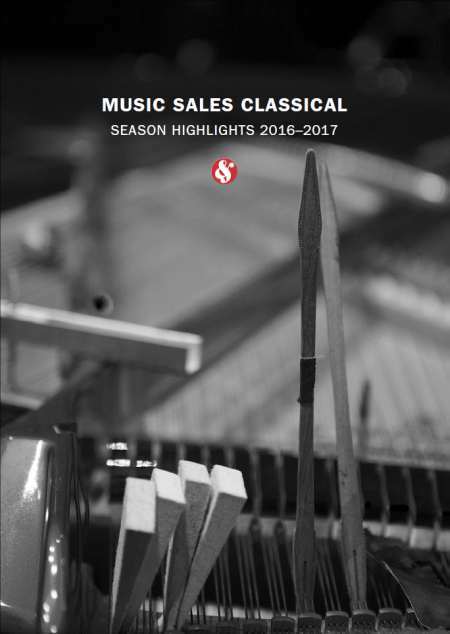 You can view the Season Highlights 2016-2017 brochure from Music Sales Classical online. New signings include Donnacha Dennehy, Matthew Aucoin and Iain Bell. There are premiere opera productions from Missy Mazzoli, Avner Dorman, Bright Sheng and David Lang. In the world of dance Daniel Wohl, Rolf Wallin and Joby Talbot feature across the globe. In 2017 Philip Glass celebrates his 80th birthday and John Adams turns 70. Esa-Pekka Salonen, Gabriela Lena Frank, Angel Illarrramendi, Hauschka, Søren Nils Eichberg, Helen Grime, Nathaniel Stookey, Paul Mealor and Poul Ruders have all written new orchestral works or concerti for the new season. Composers featured at festivals include Kaija Saariaho, Philip Glass, Richard Rodney Bennett, Bent Sørensen, Rolf Wallin, Sunleif Rasmussen and Niels Marthinsen. In the world of choral music there are new compositions by Owain Park and Tarik O’Regan. Follow us on Twitter @mslassical for all the latest news.